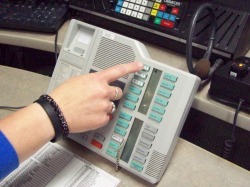 The emergency number 911 can be dialed from any telephone and will go directly to the PSAP (Public Safety Answering Point) where special computers and monitors display the location and phone number where the 911 call originated. A typical 911 ANI/ALI (Automatic Number Identifier/Automatic Location Identifier) display will provide the phone number, address, apartment or lot number (if necessary) and the name of the telephone service subscriber. The 911 call is then dispatched by another dispatcher to appropriate agencies. As previously stated, it is very important that you remain calm and listen to the dispatcher for further instructions, as well as answer all questions they may ask to the best of your abilities. Your call is often dispatched and Emergency crews are responding before you even hang up the phone. The additional information gained from the questions you answer is passed along to these units so they are better prepared to respond to your emergency. While emergency units are responding to your emergency, you may be given additional instructions such as how to perform CPR, the Heimlich maneuver, bleeding control. Listen carefully to the dispatchers instructions, these are given to help stabilize the emergency. Remember that we can't see what is going on, so do your best to remain calm and do what the dispatcher asks, it can save a life. 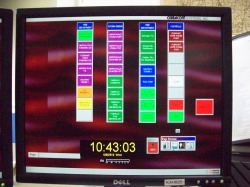 Depending on the situation, the dispatcher may disconnect or stay on the line to monitor the situation and update emergency crews of changes while enroute to the emergency. Always try and keep yourself out of harms way, do not put yourself in an unsafe situation that could cause harm to yourself or others. IF THE SITUATION WORSENS, CALL BACK IMMEDIATELY FOR FURTHER INSTRUCTIONS!